-- Travel writer Julia Sullivan lives life in fast-forward. 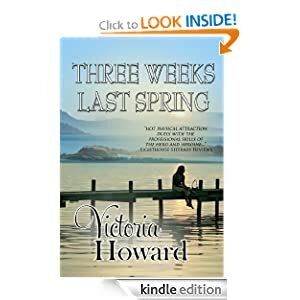 She jet sets to Europe and the Caribbean with barely a moment to blink or sleep. But too many mishaps and missed deadlines have Julia on the verge of being fired. -- Skye Dunbar needs to get away from London to put a disastrous affair behind her. When she rents a cabin in Washington State’s San Juan Islands, the last thing she expects is to be accused of computer hacking. Jedediah Walker is investigating the dead marine life washed up on the islands beaches. 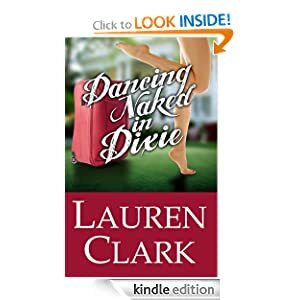 And he has another problem – an unexpected, beautiful and suspicious new tenant renting his cabin. When Walker discovers that the fish contain a high concentration of toxic chemicals, he suspects they are being deliberately dumped in Puget Sound. Later, when someone hacks into his computer, he realises it is no coincidence and sets out to find out more about his mysterious new tenant. However, Skye doesn’t like Walker from the moment she sees him. He feels the same. But that’s about to change. -- A boxed set of four novels from a #1 Kindle bestselling author. Nearly 300,000 words of fiction. THE RED CHURCH: A boy and a sheriff must solve the mystery of a haunted Appalachian church after a sinister preacher returns to town. 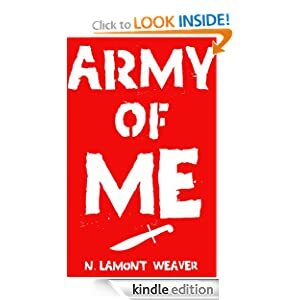 A Stoker Award finalist and alternate selection of The Mystery Guild. THE SKULL RING: Julia Stone's shattered past comes creeping back after she discovers a strange silver ring, and she can't trust any of the three men who want to help her. 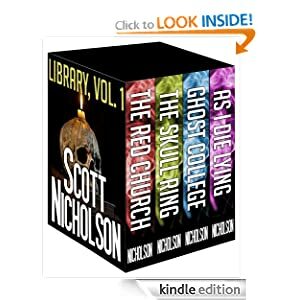 GHOST COLLEGE: A husband-and-wife ghost hunting team is summoned for a very special case at a bible college, where Latin phrases and strange piano music haunt the night. AS I DIE LYING: Richard Coldiron's five personalities may be possessed by a demonic spirit, and, to make matters worse, here comes the woman of his dreams. -- How Powerful Can One Person Be? In this irreverent romp, Kevin Kelvin is a child prodigy with a dream of space exploration. However, life happens and it proves to be a bizarre, twisted path to space. Through a series of improbable adventures including: becoming the world's first trillionaire, saving the last living band of Neanderthal, inventing a genetic therapy that restores youth, becoming the dictator of Namibia, founding his own country, reviving the abandoned Space Shuttle program, weaponizing lower Earth orbit, destroying Saudi Arabia, winning the Nobel Peace Prize, and developing an anti-gravity propulsion system, he is finally able to realize his dream and stand as the first man on Mars and the most powerful man on Earth. -- Fall is an incredible season to share with your kids. Take advantage of the awe inspired by changing leaves and cooling temperatures by giving your little ones a chance to express their creativity! A compilation of craft ideas from the nation's most inspiring hobby blogs, this book will excite you and your child with beautiful and fun to make projects. From traditional fall keepsakes to autumn themed home decor projects, your child will love the process and you will love the result -- so much you might want to make them on your own! 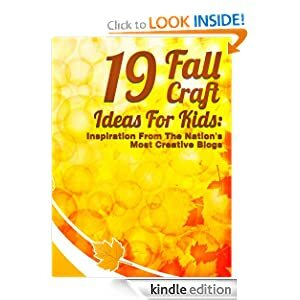 With craft ideas accessible for every age, this book is your one stop shop for fun fall crafting! Get ready for afternoons filled with new discoveries and creativity -- buy your copy today! -- The unique LetterSelector™ has once again generated lots of amazing puzzles for word game fans. If you have the brainp-w-r to un-e-stand this sentence there is a good possib-l-ty you could be outst-n-ing at this game! Add notes to your Kindle as you work out solutions or play using pen and paper. Share results across your networks to compete against family and friends. Check out the puzzles the inventor struggled to solve and let us know if you’ve beaten him at his own game. 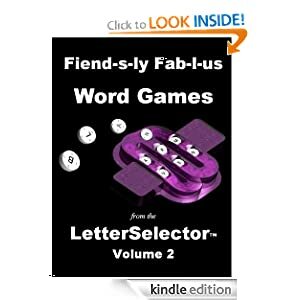 Packed with exciting new puzzles for word game and crossword fans.